Bonnie is an expert at pilfering my handbag. I really should learn by now not to leave it on the chair in the room she sleeps in when I go out. Today’s items recovered from the pilferer’s crate were two odd gloves ( well they’re black, no one notices when I wear them and I’m sure the other matching two are in the hallway), and a hat. Maybe tomorrow I should leave a rak of clothes for her to browse through? 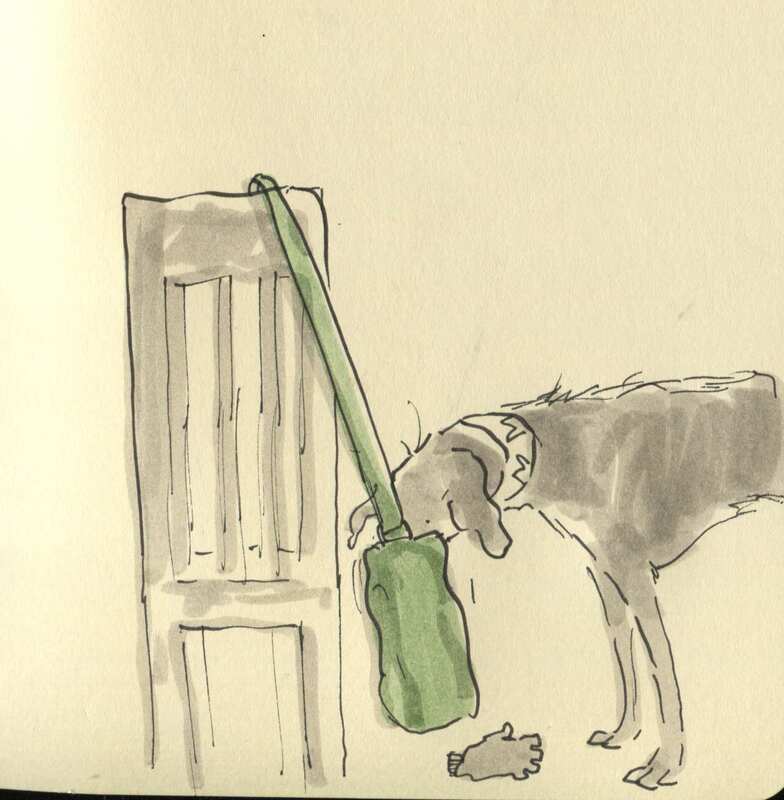 Posted on December 9, 2014, in Uncategorized and tagged Dogs, Doodlemum, Drawing, Family, Humour, Illustration, Life, Pen and Ink, Sketchbook. Bookmark the permalink. 7 Comments. these drawings are the cutest drawings in the world and connote LIFE…they transcend that they are drawn…they are so real! <3! Yes, she’s got her accessories sorted, time for a warm winter coat! My husband’s dog used to pilfer, but only for food. The only uneaten items were watercress , cucumbers and onions- although she did at least try them before refusing to eat them, unlike my daughter! ah, the pilfer hound. i too have one of this breed. Thank you for buying my book and welcome! Your scent on the gloves and hat must comfort her when you’re out.